Scabies, Tickes, Lice and Mites, Treatment of Head Lice etc. 75 Gm Soap with Beautiful Outer Carton. * Tinea Versicolor (Fungal infection of skin caused by yeast, showing individual spots or patches with different colour of the skin. * Tinea Cruris (Jock itch, Surface Superficial fungus infection. 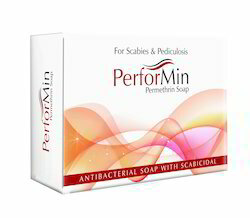 Anti-fungal Anti-bacterial Soap effective in reducing controlling Bacterial contamination. 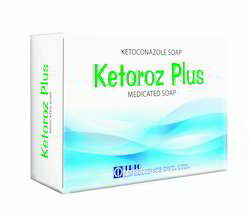 Ketoconazole prevents treats skin fungal infections. Zinc Pyrithione(ZPTO) prevents treats dandruff seborrheic dermatitis. It also has anti-bacterial properties and is effective against many pathogens. Triclosan, Aloe vera, Glycerine, Zinc Oxide, Tea tree Oil, Allantoin, Wheat Germ Oil Soap Noodles. 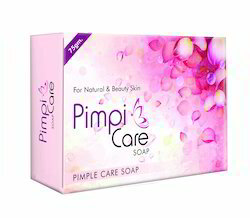 Looking for Medicated Soaps ?